Joann is an award-winning public relations executive with over 30 years of industry experience. Whether it is a strategic plan or a financial communications program, Joann is as comfortable with the language of numbers as she is with words. Her strategic mind is well-known throughout the industry. She has created award-winning strategic marketing communications and public relations programs for Union Pacific Railroad, California State Parks, Lifetime Corporation, DAKA International, Wal-Mart, Microsoft Corporation, Litton Industries, Blockbuster and OATH. Her industry experience includes assignments in technology, healthcare, recreation, food industry, education, investor relations, government, transportation and non-profit. Joann holds a Bachelor of Arts (BA) Degree in Journalism from California State University at Northridge (CSUN) and a Master of Science (MS) Degree in Communications Management from Simmons College in Boston. A member of the Public Relations Society of America for 25 years, Joann is a member of PRSA Counselors Academy. One of 5,000 public relations practitioners world-wide to hold the APR designation (Accredited in Public Relations) by the PRSA, the largest public relations organization in the world. Elected to the PRSA College of Fellows in 1994, Joann is one of the youngest professionals to ever achieve the honor and designation of Fellow. She joined the Public Relations Student Society of America (PRSSA) at CSUN in the early 70’s. She became the first PRSSA member to rise to the rank of PRSA President and CEO in 2002, leading the international organization to its greatest financial success in the Society’s 60-year history. 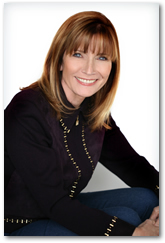 Joann is a noted speaker, writer, author, expert and educator in the field of public relations. She has taught at Whitworth College, and was a frequent guest lecturer at Simmons College and Boston University. She was a keynote speaker on public relations ethics at the Global Alliance meeting in South Africa in 2002 and continues to speak on this and other related topics locally and regionally. In 2004, Joann was qualified as a legal expert witness in public relations and now offers those services to the legal industry. Presently, Joann is an instructor for the UCLA Extension Program. She teaches the Writing for PR course in the Public Relations Certificate program. Since 2007, Joann has been an adjunct professor at the USC Annenberg School of Communication and Journalism where she teaches the Critical Thinking and Crisis Management and Uncontrolled Media. Joann holds memberships in several professional organizations. In addition to the Public Relations Society of America she is a member of the National Investor Relations Institute, the National Speakers Association and the Sacramento Seminar.